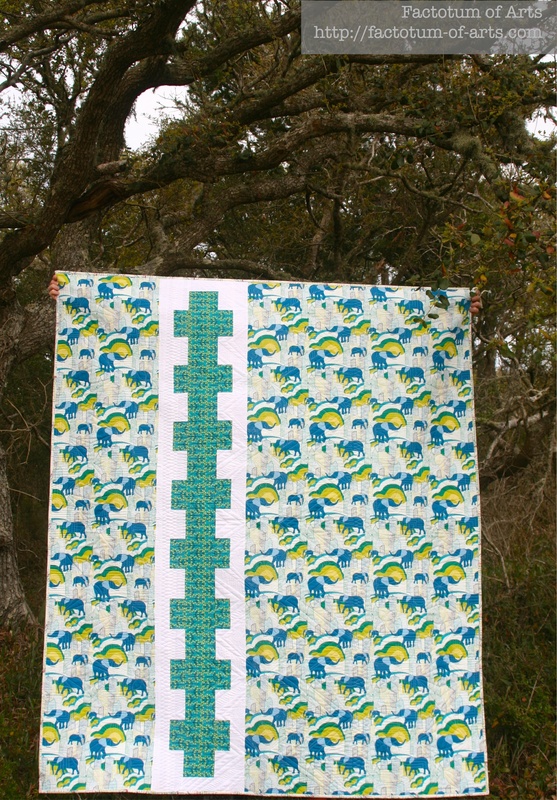 Last year, I won the design contest that Sara Lawson @sewsweetness held for her Jungle Ave Quilt. I couldn’t believe it!! 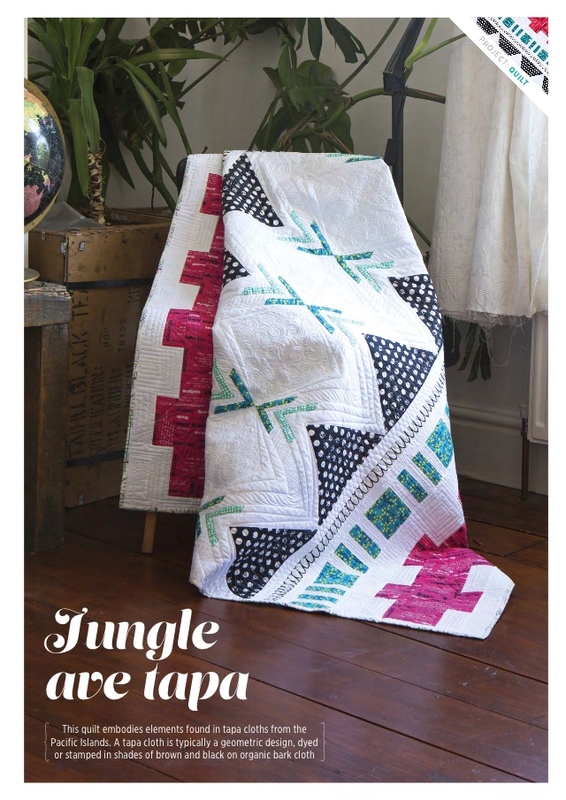 The design was inspired from Tapa cloths that I had picked up in the Pacific Islands, hence the name of my quilt “Jungle Ave Tapa”. The prize included all the fabric to make the quilt and a chance to be published in Quilt Now. The fabric arrived and my first thought was OH NO (well actually sh*t) as I realized I now need to make it. It was a long process for me to make this one as I had to work out how to turn it into reality, after a grueling 4 months it was complete. The whole secret sewing thing is like torture for me. I decided to get it quilted by Angela Walters as I wanted her style of FMQ to highlight and bring out the shapes. I love the quilting, Angela did a fantastic job on the first quilt I have ever sent out!! For the big reveal, almost a year later, the quilt and the pattern is in this month’s Quilt Now magazine (picture from the magazine). (Happy Dance emoticons here!!). We actually took it on vacation with us and had our own photo shot (the assistants maybe not have been always co-operative….but we got it done ;-)). This is my favorite sequence of photos; my son, who was suppose to be posing for me and decided to hide instead. The Hatteras Lighthouse grounds/backdrop made it a perfect location. 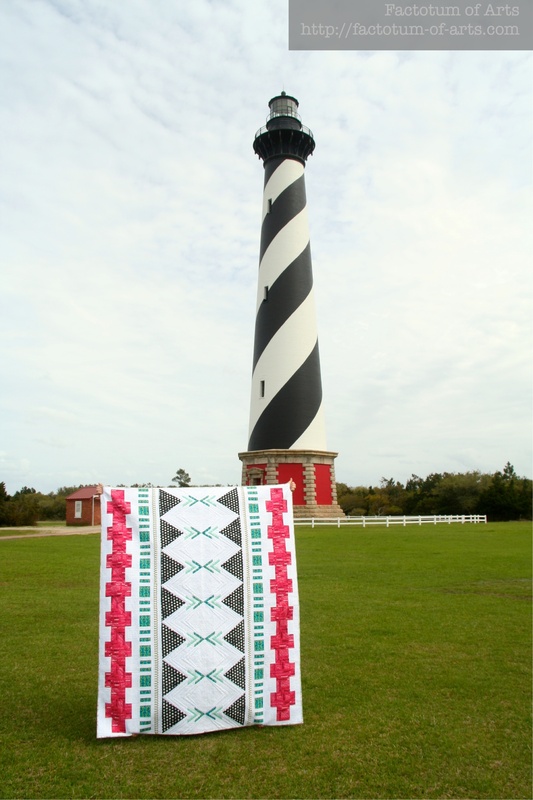 It was purely by chance that the black, white and pink/red of the lighthouse correlated to the colors in the quilt. The back re-uses the ladder shape amongst the city jungle of elephants and of course the hubby did a great job climbing in the shrubs for me!! (Ashley, if you read this…this could be us doing each others photo shoots…the hubby’s will be so happy). By the time we got to do close-ups, I lost my models/assistants….but the porch chair made a great prop. 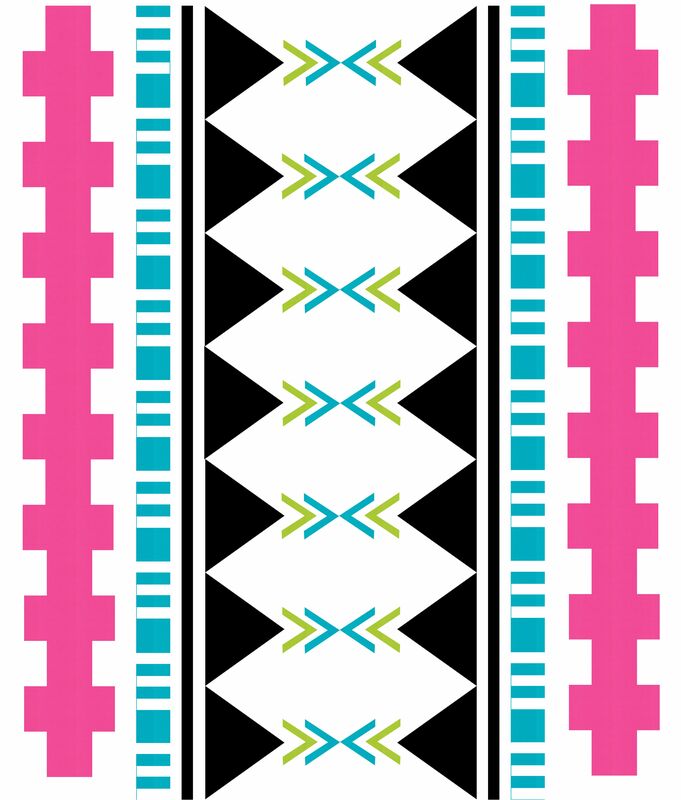 Design: Michelle Wilkie (does include paper-piecing the center strip. 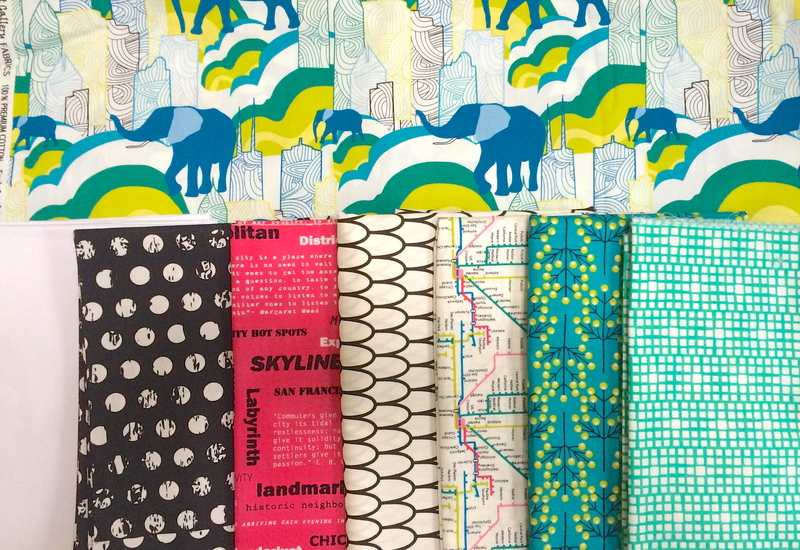 Anyway, that was so hard to keep a secret….only 1 more of the 5 secret sewing projects to go. 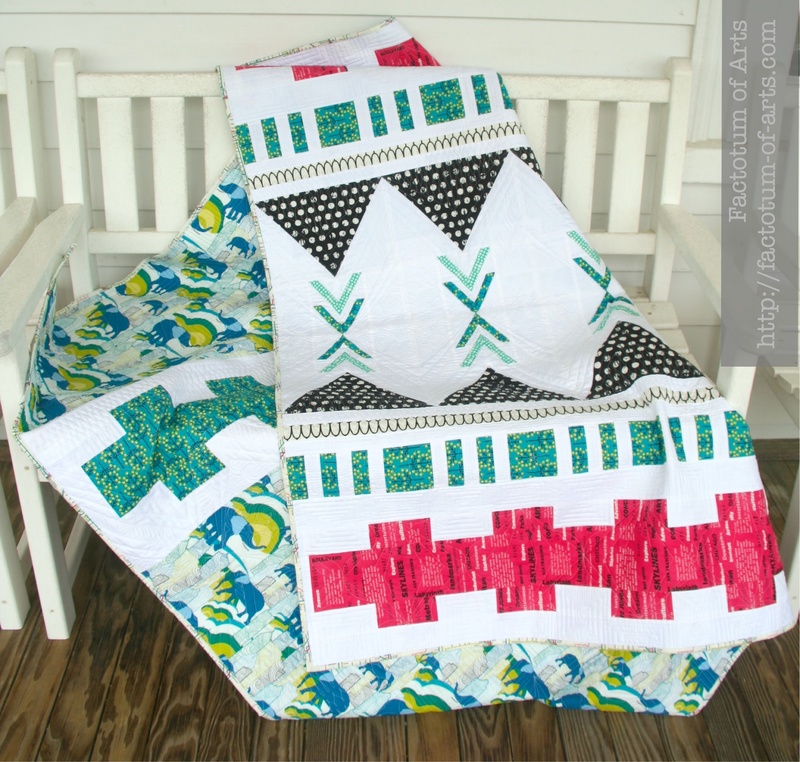 Linking up with Alyce @ Blossom Heart Quilts for Sew Cute Tuesday (see button on the right) and Amanda Jean @ Crazy Mom Quilts for Finish it up Friday. Linking up with Adrienne for 2015 Finish along, as this was a long time coming as it was one of my goals for Q4 2014 to finish. This entry was posted in Uncategorized and tagged Art Gallery Fabrics, Jungle Ave Tapa, quilt design contest, Quilt Now Magazine on July 28, 2015 by mlwilkie. Secret sewing’s bad, but not as bad as that sinking feeling you get when you realise you’ve actually got to make something you’d only kinda worked out in your head! Know that one well…. It’s my favourite project in the magazine! Congratulations – the quilt is amazing in every way! Stunning! 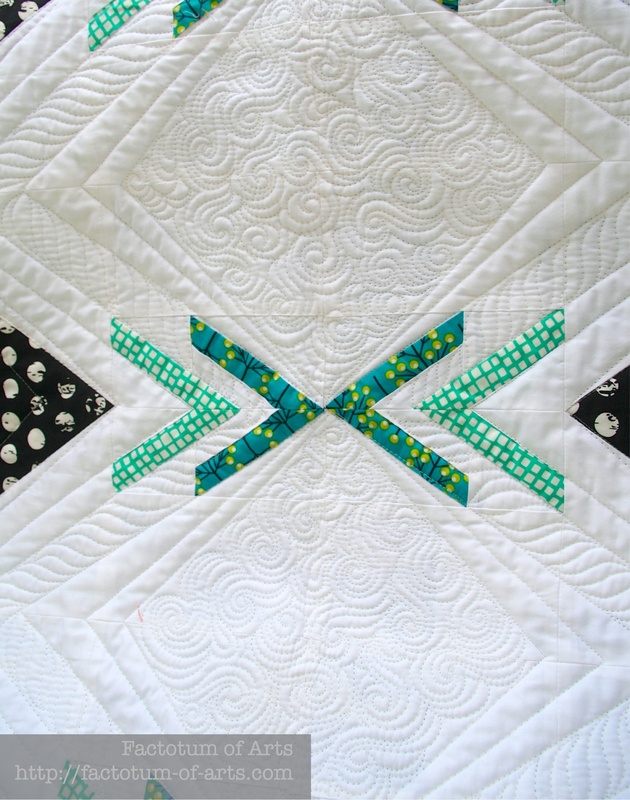 So crisp and clean–love every single detail of this quilt! Congratulations! The quilt is fabulous and I’m sure it will just be the first of many published quilts. I loved reading this post and know that I too understand the pain of secret sewing. You’re killing it at the moment – can’t wait to see what the future holds for you! Well done! Well how cool is that?! VERY! Good job! And I love the lighthouse photo!! It is gorgeous! You should be very proud of yourself! I love the sequence of photos with your son. oh my gosh Michelle this is just awesome! I like the pattern you created, but I LOVE the quilt! Wow seeing the finished version is so cool! And how awesome to have Angela quilt it, she did an amazing job! I love everything about it – the design, the colours, the quilting, the photo location, the story! Congrats on having a published design! WOW – your design is great. I love the different size elements in it. Angela did a great job for you. Your design and the quilt are stunning. Congratulations! Awesome quilt design, and I absolutely love the picture of it with the lighthouse! Just perfect. Awesome! The quilt is fantastic!